All copyright, trade marks and other intellectual property rights in this site (including the design, arrangement and look and feel) and all material or content supplied as part of the site shall remain at all times the property of Partfinder or Partfinder’s licensors. You may not otherwise download any material from this site or agree to, permit or assist in any way any third party to copy, reproduce, download, post, store (including in any other web site), distribute, transmit, broadcast, commercially exploit or modify in any way the material or content of this site without Partfinder’s prior written permission. If you do not agree to such use of data and personal data, you must not use this site or register as a member. Our site and services enable users to share information in order to complete transactions. When users are involved in a transaction, they may obtain access to each other\'s name, user ID, email address, and other contact information, postal information and financial information. We cannot guarantee that other users will respect the privacy or security of your information and therefore we encourage you to evaluate the privacy and security policies of your trading partners before entering into transactions and choosing to share your information with them. Similarly, we ask you to respect other users\' privacy and disclose your privacy and security policies to them. By law, you must give other users a chance to remove themselves from your database and a chance to review the information you have collected about them. We reserve the right to vary the content and services available from the site. Partfinder is not responsible for the availability or content of any third party websites or material you access through this site. If you decide to visit any linked site, you do so at your own risk and it is your responsibility to take all protective measures to guard against viruses or other destructive elements. Partfinder does not endorse and is not responsible or liable for any content, advertising, products, services or information on or available from third party websites or material (including payment for and delivery of such products or services). Partfinder is not responsible for any damage, loss or offence caused by or, in connection with, any content, advertising, products, services or information available on such websites or material. Any terms, conditions, warranties or representations associated with such dealings, are solely between you and the relevant third party provider of the service. 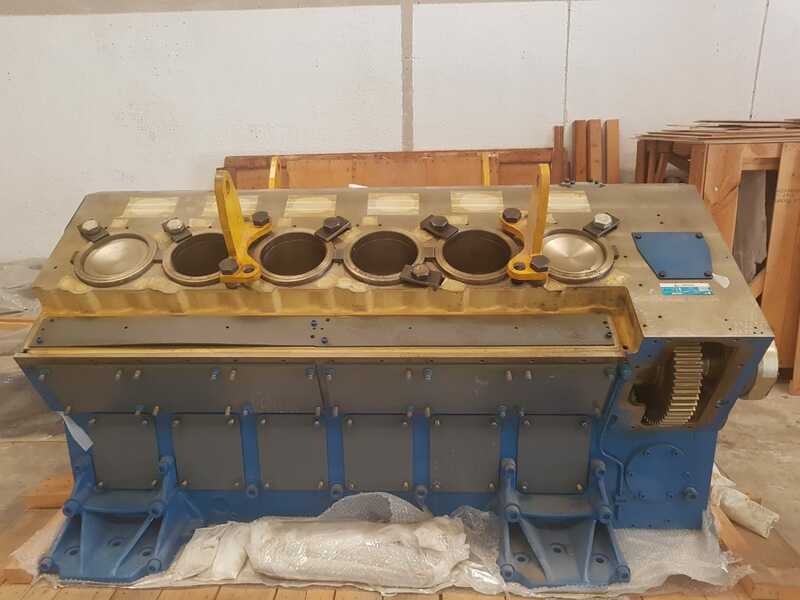 If you wish to link your site (or any other third party site) to us, please contact us in writing, at our trading address (e-mail info@partfindermarine.com) and we will assess the suggested link and may approve the link to our site depending on its suitability to our business. Links to this site may be permitted, provided that they are to the home page only and do not damage our reputation in any way and are otherwise fair and legal. In addition, any link must not be viewed within the pages of any other site. Partfinder disclaims all legal liability for any consequences (including for infringement of third party rights) arising from links made to this site. No link should suggest any form of association or approval where none exists. Links do not imply that Partfinder endorses, is affiliated to or associated with any linked site, or is legally authorised to use any content displayed in or accessible through the links, or that any linked site is authorised to use any proprietary right of Partfinder or any of its affiliates or subsidiaries. The information and other materials included on this site may contain inaccuracies and typographical errors. Partfinder does not warrant the accuracy or completeness of the information and materials or the reliability of any statement or other information displayed or distributed through the site. You acknowledge that any reliance on any such statement or information shall be at your sole risk. Partfinder reserves the right, in its sole discretion, to correct any errors or omissions in any part of the site and to make changes to the site and to the materials, products, programs and services at any time without notice. We do not review users’ listings or content and are not involved in the actual transaction between buyers and sellers. We have no control over and do not warrant or guarantee the quality, safety or legality of items advertised, the truth or accuracy of listings, the truth or accuracy of feedback or other content posted by users on our site, the ability of sellers to sell items, the ability of buyers to pay for items, or that a buyer or seller will actually complete a transaction or return an item. At no point is Partfinder a party to the sale and purchase transactions between buyers and sellers and any remedies are purely between the transacting parties. Partfinder is not responsible for any damage, loss or offence caused by or, in connection with, any content, advertising, products, services or information available on the site. Any terms, conditions, warranties or representations associated with such dealings, are solely between you and the relevant third party as buyer or seller of the goods. In no event will Partfinder and/or third parties be liable for any indirect or consequential damages or for any damages for loss of data, loss of profits, loss of income whether in an action of contract, negligence or any other action, arising out of or in connection with your use of the site. In the event of any direct loss suffered by you, Partfinder total legal liability to you shall not exceed the total of any sums payable by you to Partfinder in the preceding 12 months. These exclusions and limitations do not apply to death or personal injury or fraud caused by Partfinder’s negligence and only apply to the extent permitted by law. Partfinder does not warrant that the functions contained in this site will be uninterrupted or error free or that defects will be corrected or that this site or the server that makes it available are free of viruses or bugs. 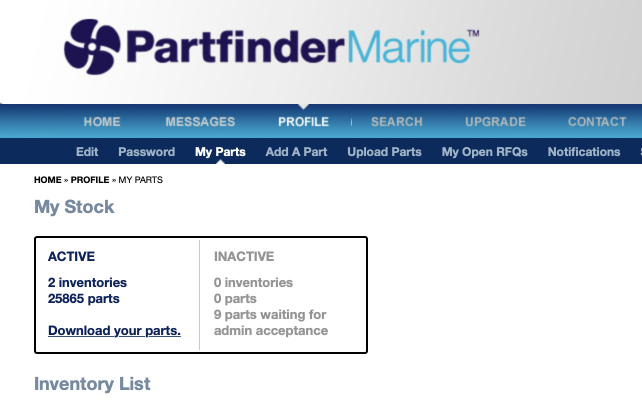 Partfinder does not represent the full functionality, accuracy or reliability of any material. Partfinder may terminate, change, suspend or discontinue any aspect of this site, including the availability of any features of the site, at any time without notice or liability. Partfinder does not accept any legal liability arising from reliance placed on any materials, advice or commentaries from third parties which is available from this site. You should seek professional advice wherever necessary. Partfinder makes no representation that materials on this site are appropriate or available or legal for use outside of the United Kingdom. If you access this site from a location outside of the United Kingdom, you are responsible for compliance with all local laws.